Are you looking for a great-sounding wah, but need to conserve space on your crowded pedalboard? 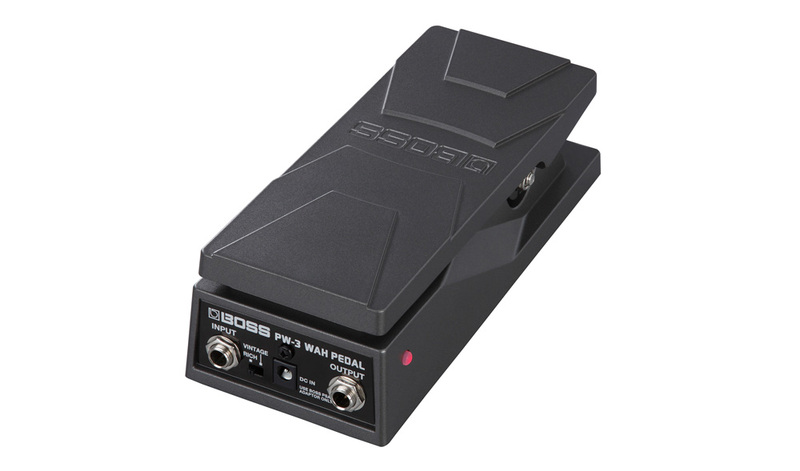 Then you really need to check out the new PW-3 Wah Pedal from BOSS! It delivers awesome tone with two different sound modes, and features a robust, heavy-duty design that strikes the ideal balance between compact size and functional usability. Typically, wah pedals don’t fare so well when shrunk down to smaller sizes—they feel tiny under your foot, and the pedal throw is whittled down to a very limited range. But that’s not the case at all with the PW-3. Built with a die-cast aluminum chassis, the PW-3 has the solid and substantial feel of a full-size wah, but in a more compact footprint that leaves room for stomps on your board. The long, smooth pedal throw is impressive as well, with highly responsive action that simply feels great. The rock-solid PW-3 Wah Pedal strikes the perfect balance between reduced size and practical functionality. Compact and durable is one thing, but how does the PW-3 sound? In a word, incredible! 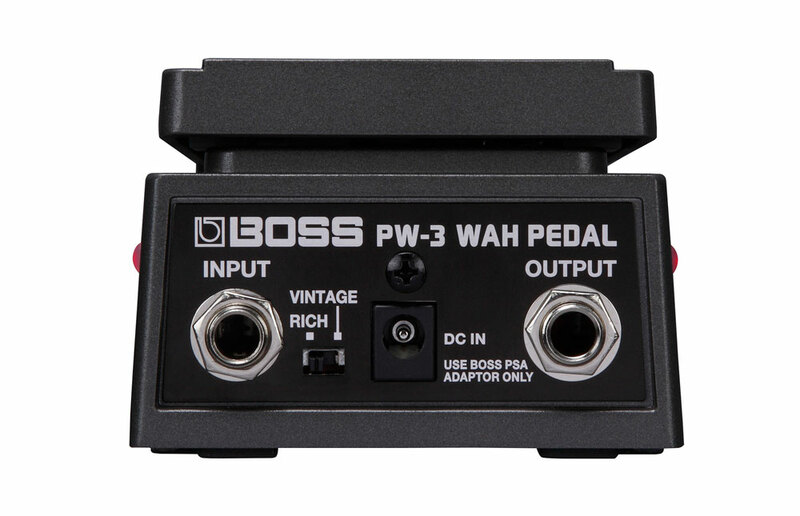 Thanks to the crafty engineering team at BOSS, the PW-3 alleviates a common problem that’s plagued wahs since the beginning—thin tone. Normal wah circuits have a tendency to trim low-end response, which can leave your tone without richness and body. To eliminate this issue, the PW-3 offers a selectable Rich mode with a uniquely full wah voice that retains the low-end body and definition lost with other wahs. We think that you’ll love Rich mode so much that you’ll wonder how you got along without it all this time. But if you get nostalgic for that traditional wah voice, just flip the rear-panel switch to Vintage mode and rock away with classic ‘60s tone. 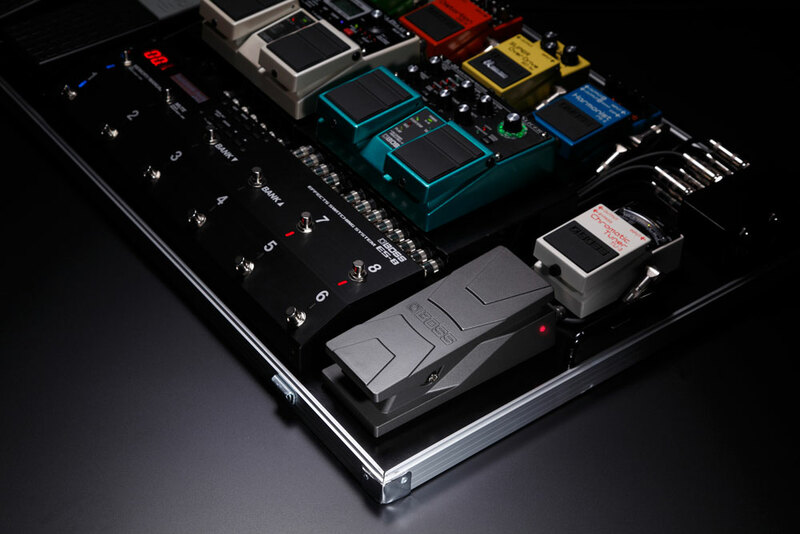 The PW-3’s panel features selectable sound modes and front-mounted jacks for easy connectivity on a pedalboard. Another issue with downsized pedals is that it’s hard to see when the effect is on or off, because your foot blocks the view. The PW-3 solves this with status LEDs on each side of the pedal, making it much easier to see when the wah is activated when your foot is on top. Additionally, the side LEDs allow for a quick status check when you’re roving on stage away from your board. The PW-3 Wah Pedal features on/off indicators on each side. The PW-3 also features pedal action that’s adjustable with a hex key. This lets you to tighten or loosen the pedal’s feel to set up the response that works best for you. If you’ve seen the compact FV-30H and FV-30L volume pedals that BOSS released earlier this year, then the PW-3 will look familiar to you. These pedals share the same rough-toad design and footprint, making them perfect partners for volume and wah duties on your board. The PW-3 and FV-30 pedals conserve precious space on your pedalboard. To learn more, check out the PW-3 Wah Pedal product page.